Seat belts might be the most under-appreciated elements of car design. Obviously, they’re a big factor in crash survivability and driving comfort. But when an automaker takes the time to make them pretty? Oh yeah, that’s the good stuff. You don’t have to be burgermeister of a BMW club to enjoy the seat belts on the M3 CS, which are artfully accented with the M signature red, blue and blue blocks as thin not-so-subtle lines. I mean, it would probably help, but come on. I can’t even, with these. While you’re here, you might as well appreciate the design sewn into the steering wheel and seats, too. 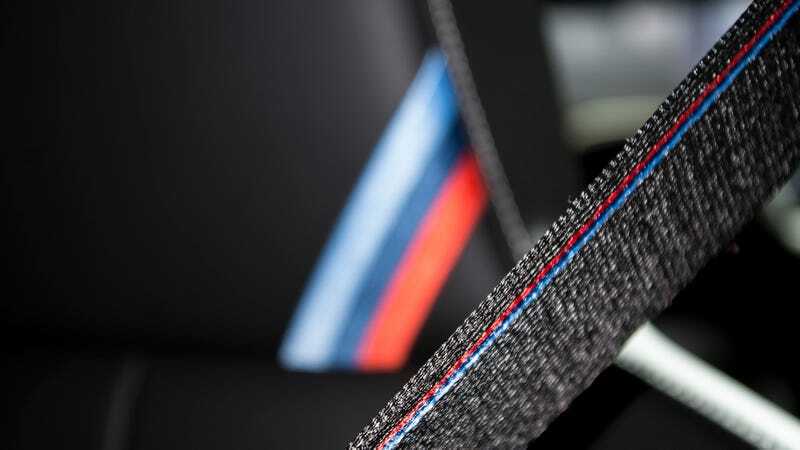 I was all set to buy a BMW M3 CS of my own until I realized the stylistic seat belt stitching was only available in the front half of the car. Weaksauce, team Beams. If you’re going to go over-the-top, just make the last leap already. Wasn’t the whole point to add two more passengers to this temple of M? Still, this was a strong contender for my favorite thing at this year’s Los Angeles Auto Show.